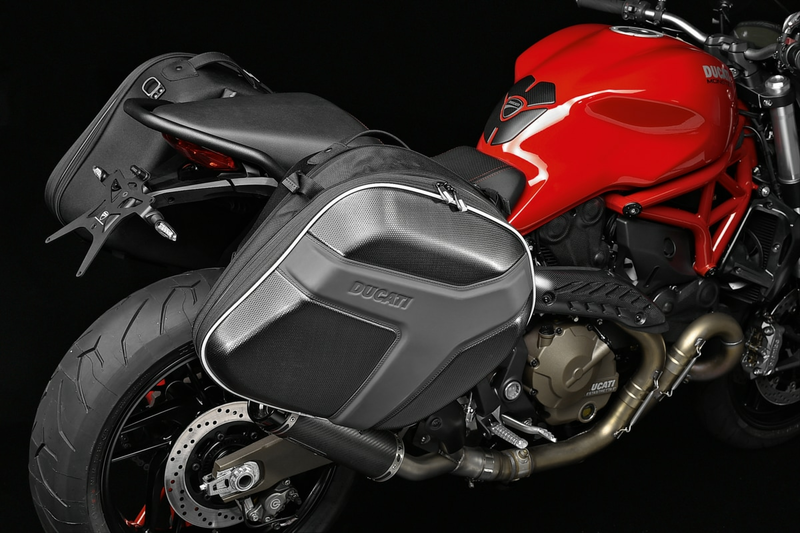 Side panniers in thermoformed ABS. These sturdy yet light panniers, coated with polyester, come with fixing brackets and quick-release system. 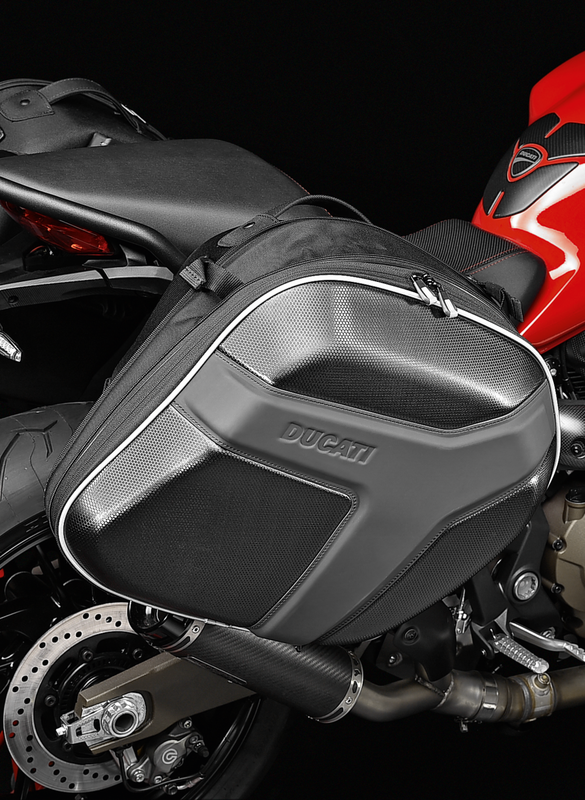 Thanks to their special design, these side panniers strike a perfect balance between carrying capacity (enough for a helmet) and a slick, aerodynamic profile. They are fitted with waterproof zippers and padlocks, reflective inserts and rainproof cover. 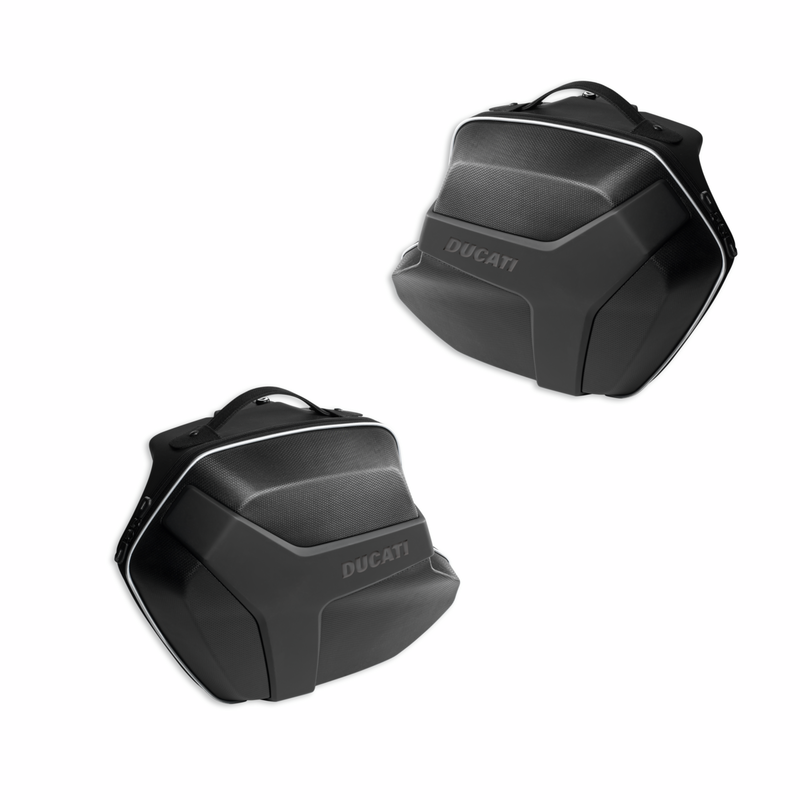 Cannot be installed together with standard and Ducati Performance passenger seat covers.